At Blenheim we aim to create a happy and caring learning environment where all children are valued, encouraged and supported to achieve their best. We are fortunate to have fantastic grounds and facilities within our learning community, and a talented and committed team of professionals. Please visit our website for further information. The Nursery operates as part of Blenheim Primary School. We work in partnership with parents to enable all children reach their potential. A lunch club is available at extra cost. The School Nursery is inspected as part of the main school's Ofsted registration (URN 114837). Please call to discuss vacancies or to place your child on a waiting list. Blenheim 'Larks' Breakfast Club runs from 7:30am and includes breakfast (school pupils only). Blenheim 'Owls' After School Club runs until 6pm and can include a hot meal (school pupils only). Please call to find out more about the opening times and availability of sessions at the nurseries and out of school clubs. Please call to discuss availability and registration processes. Our SEND information report provides details of the resources, interventions etc. that we provide at Blenheim to support children with SEND. Due to the ever changing needs of our children there may be additional support available that has not been covered in this document. 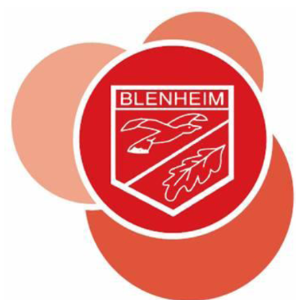 If you would like further information about what we offer at Blenheim or if you have any questions, please do not hesitate to contact our Head of SEND, Mrs Crowe or our Assistant SENCo, Miss Chloe Newham. Class teachers, support staff, parents/carers and the learner themselves will be the first to notice a difficulty with learning. At Blenheim, we ensure that assessment of educational needs, directly involves the learner, their parents/carers and of course their teacher. The Head of SEND and Assistant SENCO will also support with the identification of barriers to learning. If you have any concerns at all, please contact the class teacher who will be happy to discuss these with you. All teachers and support staff are expected to adapt the curriculum to ensure access to learning for all children in their class, and are well supported by our Inclusion Team. Specialist support is also sought from local special schools and expertise within the Learning in Harmony Trust. Pupils' progress is tracked termly and reported to parents through regular meetings, where targets and next steps are identified in order to support the learner. Pupils with complex SEND, who are unable to access the National Curriculum even with significant differentiation, may be able to access the school’s SEN Qube provision with specialist SEN teachers. This provision is at the discretion of the Head Teacher and Head of SEND and admissions are limited to ensure that all children’s needs can be met. Our teachers will use various strategies to adapt access to the curriculum for individual learners. Each learner identified as having SEND is entitled to support that is ‘additional to or different from’ a normal differentiated curriculum. The type of support is dependent on the individual learning needs, and is intended to enable access to learning and overcome the identified barriers. This may include tasks which are different or the use of additional resources. Children, parents/carers and their teacher and support staff will be directly involved in reviewing progress. Each child identified as having SEND will have a One Page Pupil Profile on which the desired outcomes for the term are recorded after discussions with parents/carers and the child. These are reviewed termly and progress and next steps are discussed. If a learner has an Education Health and Care Plan (EHCP), the same termly review conversations take place, but the EHCP will also be formally reviewed annually. These children will have a One Page Pupil Profile to ensure that their specific needs detailed on their EHCPs are met. Team around the Child and Family meetings are also used to regularly review support from external agencies such as Speech and Language, health professionals, social care and other support agencies identified on the support plan. Blenheim has access to support from an Educational Psychologist, a school counsellor and special school’s advice and support. We also employ approximately 30 Teaching Assistants, 2 specialised intervention teachers, 2 SEN teachers and a Learning Mentor who deliver the interventions in the provision map as co-ordinated by our Head of SEND. Our Learning Mentor works closely with children and families to remove emotional and social barriers to learning. Our Inclusion Manager supports the needs of our children who are looked after by the local authority. We are also able to access support from special schools, including the St Christopher School, Parallel Learning Trust and JFK School. If necessary, children will be supported by an Educational Psychologist who will work closely with the Head of SEND and class teacher. Other services which can be accessed by the EHFSA include Speech and Language Therapy. All members of staff have received training from the Head of SEND on the Code of Practice (2015) and are supported by the Head of SEND and Assistant SENCO to ensure that they are implementing appropriate provision. At Blenheim, it is an expectation that all children will participate in all activities and school trips regardless of their abilities. Staff are aware of the Equality Act 2010 which places specific duties on schools, settings and providers, including the duty not to discriminate, harass or victimise a child or adult linked to a protected characteristic defined in the Equality Act and to make 'reasonable adjustments.' The school will always endeavour to take reasonable steps to modify/adapt the learning environment in order to meet the needs of individuals. Whenever a child moves to a new year group or key stage, careful transition planning takes place. The existing and new teacher will have a comprehensive transition meeting with the Head of SEND, when the needs of the child will be discussed and planned for. Transition meetings for children going to secondary school are held between the two schools to ensure a smooth transition for the child and may include additional visits. How are the seting's/school's/college's resources allocated and matched to children's/young people's special educational needs? A child with an Education Health and Care Plan will have an allocated amount of provision (often worked out as TA equivalent hours). These hours will be met using a range of provision specifically to suit that child’s needs as detailed in their plan. This may include support from the Head of SEND, SEN teachers or Inclusion Manager, learning mentor, group work or 1:1 support from a teaching assistant or the class teacher. How is the decision made about what type and how much support my child/young person will recieve? The type of support needed will depend on the child's needs. This will form part of the discussions during the One Page Pupil Profile process and annual review (for pupils with EHCPs). How are parents involved in he setting/school/college? How can I be involved? Parents are encouraged to play an active role in their child’s education. At the start of the year, parents and carers are provided with an overview of the year, including curriculum and homework expectations. Parents’ evenings are held in the autumn and spring terms and regular parents' workshops are held throughout the year to allow parents to see how their child is being taught. We also have an active PTA called Friends of Blenheim which arranges various activities and fund raising events throughout the year.